An art collective aims to create a business, by bottling the scent of a freshly unboxed MacBook. I’ll never forget opening my first Apple product. It was a G4 tower, the first computer I’d ever unpacked that had a purpose for absolutely every piece of packaging. And maybe I’ll never have to, thanks to Air Aroma, who has immortalized the scent of a new Apple product in a perfume. Yes, they designed a custom smell that promises to be “virtually identical” to the “scent emitted from the box” when a new MacBook is opened. 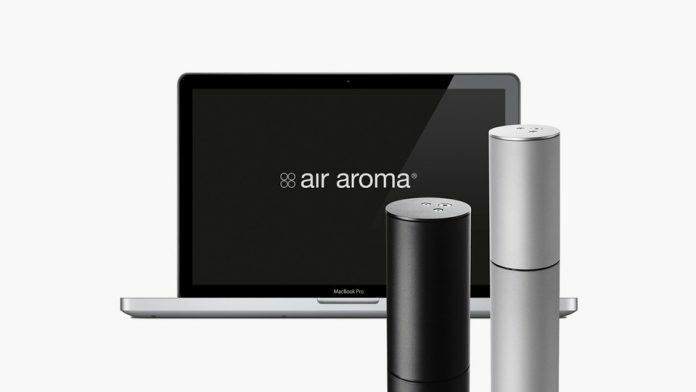 To create the custom olfactory experience, Air Aroma’s lab “smell-analyzed” the MacBook itself, along with each individual detail of the packaging: the paper, ink, foam, and even the glue that holds down the foam. “We did not use any material from an actual MacBook,” Cosic assures us. Rather, it’s a combination of “various natural products such as leather, lily flower but also plastic film, cold metal, and musk.” Musk. It’s not the first thing that comes to mind when you think “MacBook,” but maybe these secretions of a mature male deer have been in Apple’s secret potion all along. Unfortunately, Air Aroma only created the scent as a one-off art installation. It’s not something we can buy–though the group claims that they’re looking for distributors now. (Can Apple trademark a scent? Get ready for a call from Apple’s lawyers, boys!) And until such a day comes, we’ll have to do things the old fashioned way: Rub our laptops over every inch of our bodies before departing for social engagements. Just power it down first. Nobody wants to read your groin typos, again. via Catnip For Tech Geeks: A Perfume Smells Like An Apple MacBook | Co.Design: business + innovation + design.